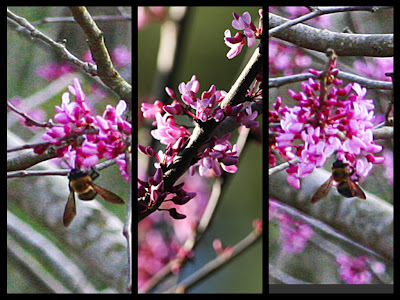 Spring officially arrives in the early morning hours of March 20 and the flowers of the redbud tree, along with their accompaniment of native bees, are here to greet it. Of course, spring has been here unofficially for several weeks now, but with the coming of the vernal equinox today, our calendar will finally match our weather. The word equinox is derived from Latin words meaning "equal night," and on this day, the hours of daylight and night are approximately equal and the sun rises in the due east and sets in the due west. Spring brings increasing daylight, and temperatures in our part of the world begin to heat up rather rapidly. This is the time of the rebirth of both flora and fauna. I can see it in my garden with the perennials that died back during the winter now putting up fresh shoots as they get ready for a growth spurt, and I see and hear it at one of my bluebird boxes as the bluebird babies that have been assiduously cared for by their hard-working parents for a week and a half now will soon be ready to fledge. New life is bursting out everywhere! And on the vegetable garden fence, the 'Tangerine Dream' crossvine blooms in its glorious flush of spring beauty. 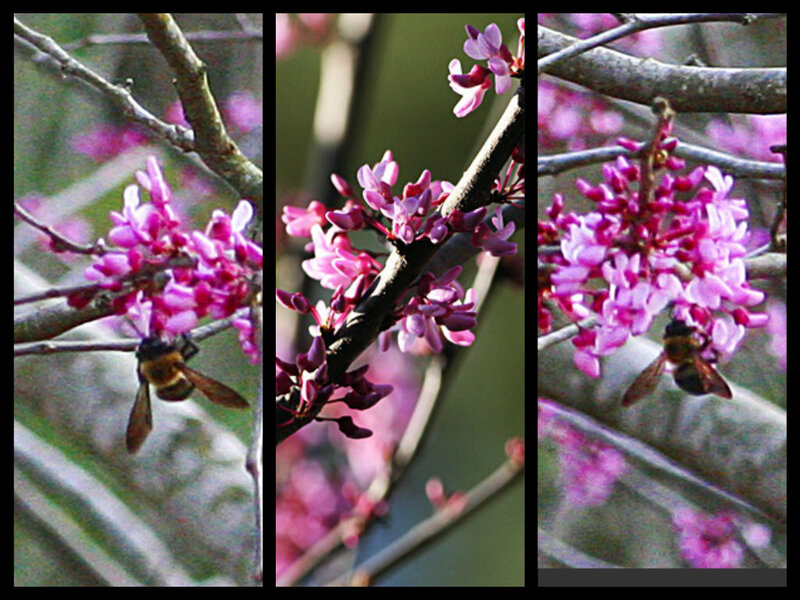 Welcome sweet spring and don't be in any hurry to give way to nasty old summer! Is it spring or summer??!!!!!! Love the crossvine on the fence. ... lovely shot. The crossvine is really putting on a show this year. I love those trumpet-shaped blooms. Enjoy it while it lasts. Here spring seems like a three day weekend between winter and summer. I know what you mean, Jason. The heat and humidity of summer arrive all too quickly, like the blast from a furnace, and for us, it generally lingers into October.